In Florida, criminal conspiracy is an agreement – express or implied – between two or more individuals to commit a crime. Conspiracy can be charged with respect to any agreed-upon criminal action, it’s typically only charged in cases that involve serious felonies, such as drug trafficking, aggravated battery or homicide. At The Anasara Law Firm, our Fort Lauderdale felony criminal defense attorneys are committed to vehemently defending those accused of criminal conspiracy in Florida. We recognize that while an arrest on such a serious charge can be overwhelming, your case is far from over at that point. Our criminal justice system allows you the opportunity to gather evidence that can be used in your favor and to object to the presentation of evidence that doesn’t favor you. No attorney can guarantee anyone a certain outcome. But when you have a lawyer with skill and experience, you can get a good sense of how your case is likely to unfold and how best to minimize the impact of these charges on your life. Florida legislators defined the crime of conspiracy in F.S. 777.04(3). The statute outlines the crime by explaining that a person who agrees, conspires, combines or confederates with someone else or several people to commit any crime commits criminal conspiracy. Defendant intended that the offense would be committed. Defendant agreed, conspired, combined or confederated with someone else to cause the offense to be committed by one of them, both or a third party. Previous case law has established that because that agreement is central to committing this offense, prosecutors must show both that there was an agreement and also that there was intent. Additionally, conspiracy can be charged on its own or in addition to the object of the conspiracy. So for example, if you and your friend conspire to commit burglary on a house down the street and you both intended to carry this out, you can be charged with conspiracy whether or not your plans actually come to fruition. However, the state does not need to show that you took any overt action to further the conspiracy. Let’s say for example you and a friend are sitting in a vehicle and you say, “Hey. Let’s get baseball bats and beat up Janice.” Your friend response, “Sure, let’s do it.” At this point, you two have entered into a conspiracy to commit aggravated battery. The conspiracy exists even if neither of you have baseball bats or money to buy it and even if neither of you makes any effort to actually harm this other person. A conspiracy isn’t inferred just by the act of aiding and abetting – which can be a crime in and of itself, referred to under Florida law as accessory after the fact. An accessory after the fact does not conspire to commit the crime and may not witness the actual crime, but rather knew or was provided sufficient information to reasonably believe a crime was committed by the person being assisted. Aiding and abetting/ accessory after the fact can be a serious crime, charged anywhere from a first-degree misdemeanor for helping someone who committed a third-degree felony, all the way to a first-degree felony for someone who committed a capital offense. But conspiracy is different than accessory after the fact. Numerous Florida appellate court decisions have held conduct that amounts to aiding and abetting is not sufficient to prove a conspiracy. Further, someone’s mere presence at the scene of a crime is also not sufficient to prove involvement in a conspiracy. If a defendant’s connection to a conspiracy was minimal or didn’t emerge as part of a consensual undertaking, prosecutors can’t succeed in a conspiracy charge. Just because you are marginally associated with someone who is a crime or others who commit conspiracy doesn’t mean there is enough evidence to support a conviction on a charge of criminal conspiracy. Further, numerous appellate courts in Florida have held that when prosecutors don’t have proof of the prior agreement, the mere fact that a defendant had knowledge of a crime or knowingly participated in a crime aren’t sufficient to support a conviction for criminal conspiracy. So just because you committed a crime (alone or with others) doesn’t mean you are guilty of conspiracy. And just because you knew about a crime you weren’t involved in doesn’t mean you conspired. This is important because while you may face penalties for a conviction of the actual crime, your potential prison time spikes substantially if you are also convicted of conspiracy. Penalties for conspiracy are ranked at one level below the offense severity ranking of the object offense. So for example, if you committed burglary, a first-degree felony that carries a possible sentence of 30 years, a charge for conspiracy would be a second-degree felony, which carries a penalty of up to 15 years. Because conspiracy is a highly technical charge, it’s also highly defendable. No one charged with conspiracy in Florida should plead to this offense before talking to an experienced criminal defense attorney. No proof of a prior agreement. Evidence defendant withdrew from the conspiracy/ persuaded another not to commit the crime/ otherwise acted to prevent it. State’s evidence shows only presence at the crime scene. State’s evidence shows only you participated in the crime, not that you conspired to do so. Lack of evidence conspirators had the intent to commit the same criminal offense (raised frequently in drug cases where the intent of buyers and sellers is fundamentally different). If you have been charged with conspiracy, call our offices today to learn more about how we may be able to help with your case. 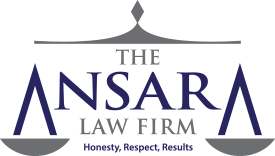 If you have been charged with conspiracy in South Florida, contact the Fort Lauderdale Criminal Defense Lawyers at The Ansara Law Firm by calling (877) 277-3780.